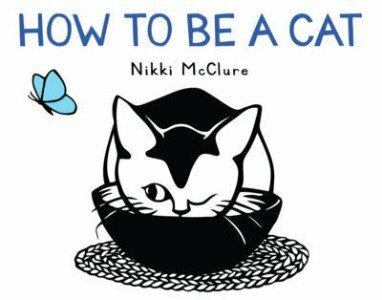 In a nutshell: As a long time fan of cut-paper artist Nikki McClure, and as lifetime cat-lover, I’m extremely excited about the release of her latest book, How to Be a Cat. Black and white images with a subtle appearance of a sky blue butterfly, How to Be a Cat follows one kitten’s exploration in cat behavior guided by an adult cat. 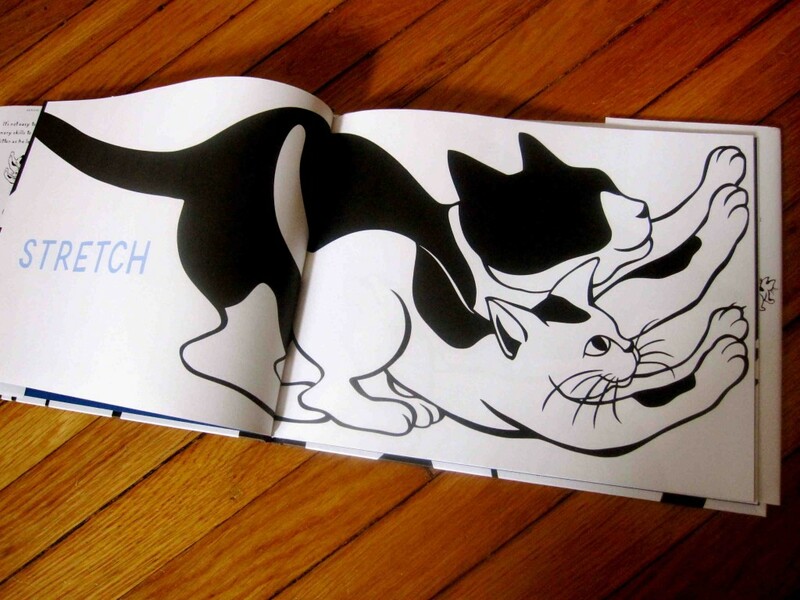 With large print words describing each action such as “Stretch”, “Listen”, “Explore”, the reader might feel so inclined to try their hand at being a cat. There’s something very pure and gentle about Nikki McClure’s cut-paper illustrations that I’ve always been drawn to, but even more so since I’ve become a mother. Themes of parenthood, growth, and nature ring true in all her children’s books, Mama, Is it Summer Yet?, Apple, All in a Day, To Market, To Market; all beautiful stories my daughter L and I enjoy to sharing together over and over again. 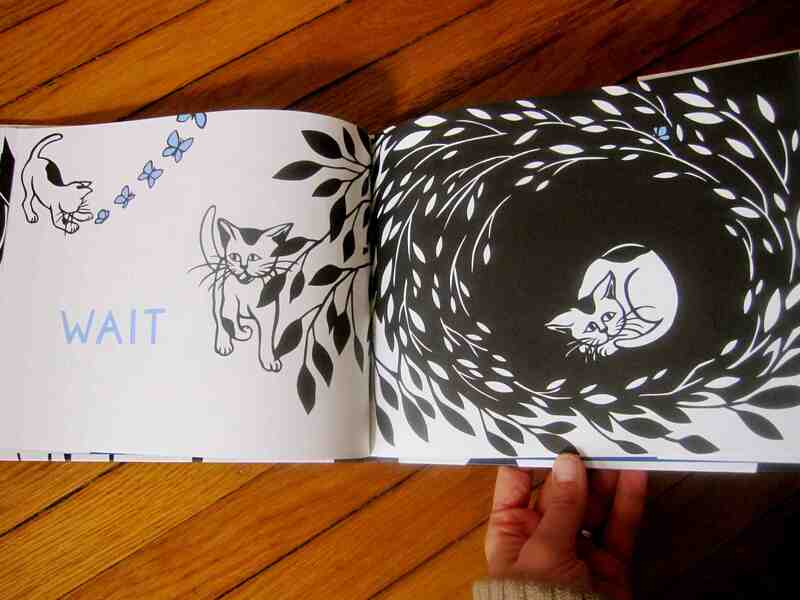 With the black and white contrast favorable for stimulating a baby’s vision, and short, one-word-to-one-page pacing, How to Be a Cat is ideal for babies and toddlers both. I’m hoping in the not too distant future the publisher decides to make this book available in a board book format as it would be a fitting read for even the smallest of readers. 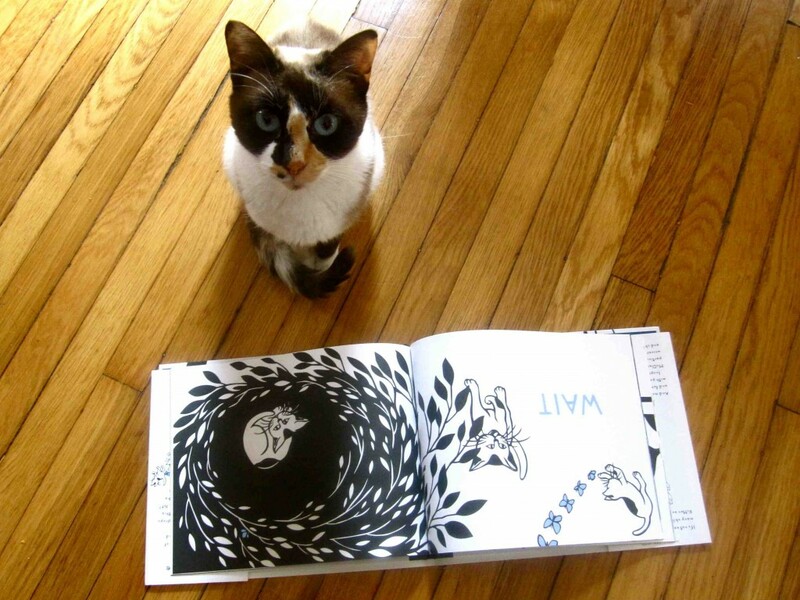 All readers in our house, even the one’s with four legs, adore this sweet and loving story about How to Be a Cat. Don’t take my word for it: Starred review from Kirkus Reviews. Extras: Take a peak inside the home of Nikki McClure in “A Visit with Nikki McClure” on the Abrams Blog. The post has a few sneak peak pictures of sketches for her next book! Enjoy Nikki McClure’s artwork? You can purchase prints and notecards of her work from Buy Olympia. 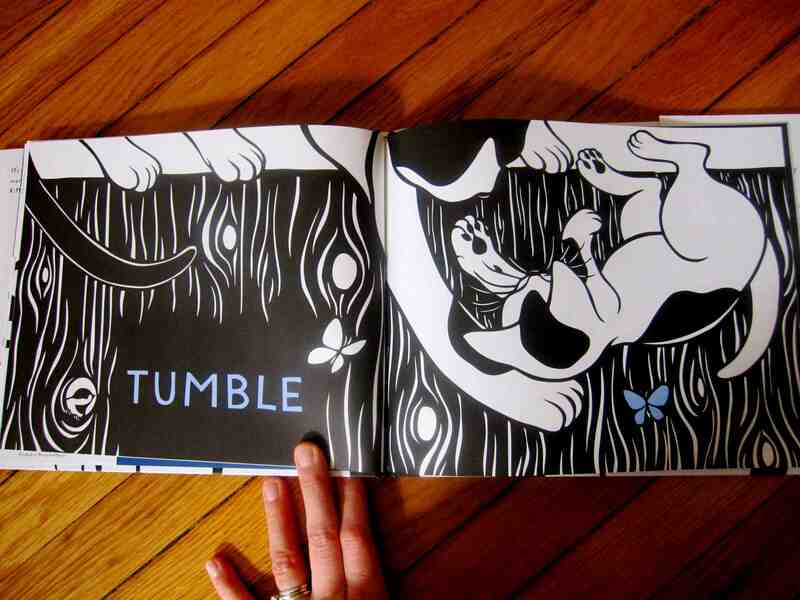 For more on Nikki McClure visit her website. Source of book reviewed: Purchased at ALA Midwinter. Oh, fabulous! I love Nikki McClure and I love cats. How awesome is this! Lovely kitty you have there. 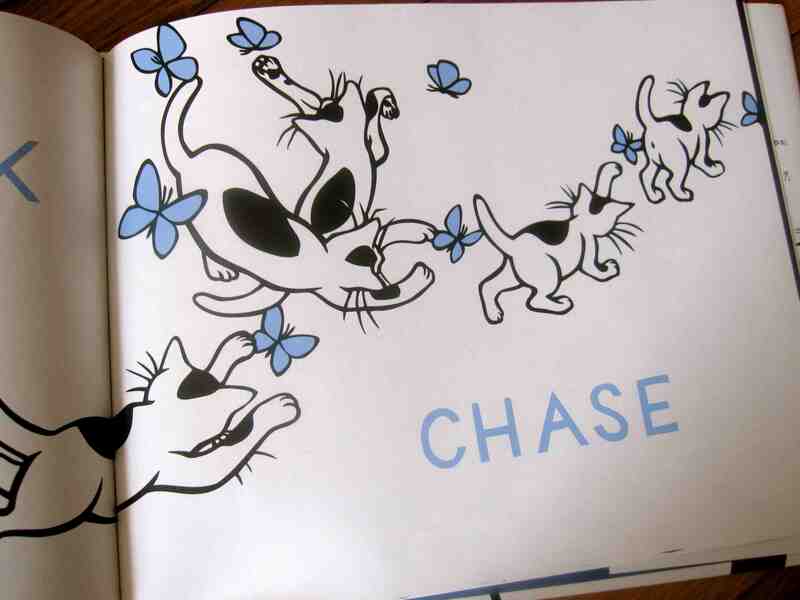 This book looks like a winner for baby storytime. 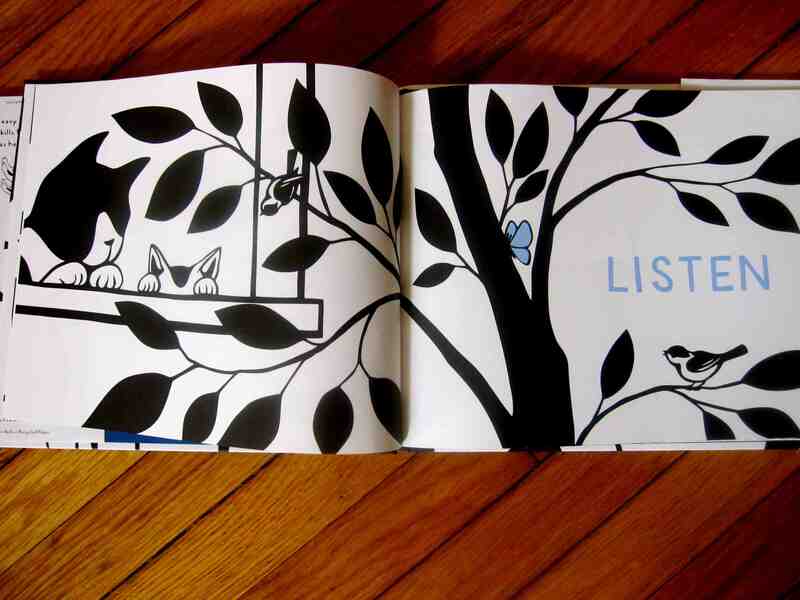 I am always looking for good books that I can use in storytime. Any suggestions are always appreciated.